You may yourself be in need of help in getting out of jail or you may have to help a friend or family member, the bail bond process can prove to be of invaluable importance. Getting arrested is certainly not a situation anyone would want to be in. If there are things that can lighten the seriousness of the situation, Anaheim Bail Bonds is certainly among the most important ones. It is going to help you get out of custody, can save valuable time and money, and also provide a sense of security. Here are the 4 different ways in which choosing a bail bonds company can benefit you and protect your interests. A licensed Anaheim Bail Bonds company can not only help secure your release from custody, the service is also going to save you money. Bail bondsmen require you to pay a fee that is a certain percentage of the full bond amount, along with some collateral. In the absence of such a service, you will be required to post the full amount of your bail. The next benefit of choosing a bail bondsman is that it can help you get free and prepare your defense strategy with your attorney. It is far easier to organize your defense when you are out of jail. 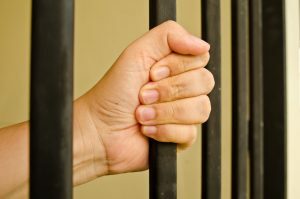 If you are in custody, your attorney will have very limited access to you. This is certainly going to affect your defense. Defending yourself in the court is going to cost you money. If you are in jail, you cannot go to work and your source of income will get hampered. Defending yourself effectively means hiring an accomplished attorney. You will also have to pay your bills and take care of your loved ones. You cannot rely on the jobs in jails. Besides, there is the risk that your employer can consider replacing you with another employee because they cannot hold your position for long. You can also find it difficult to find a job after getting out of jail after months, even if you have been cleared of the charges. Therefore, it is in your best interests to get the help of an Anaheim Bail Bonds company and get immediately released from custody. A jail is not a great place for anyone to spend their time. In a jail, you are going to come across all kinds of people including criminals. An Anaheim Bail Bonds agent can help you get out of custody and keep your safe. Your loved ones will have peace of mind that you are safe. So whether it is you or someone close to you who has been arrested or booked, you should immediately find a bail bondsman. The service can be worth much more than just being affordable.